Notice: This is an old thread. The last post was 2456 days ago. If your post is not directly related to this discussion please consider making a new thread. Featuring in-depth contributions from an international team of experts, the Biology of Turtles provides the first comprehensive review of the Testudinata. The book starts with the premise that the structure of turtles is particularly interesting and best understood within the context of their development, novelty, functional diversity, and evolution. 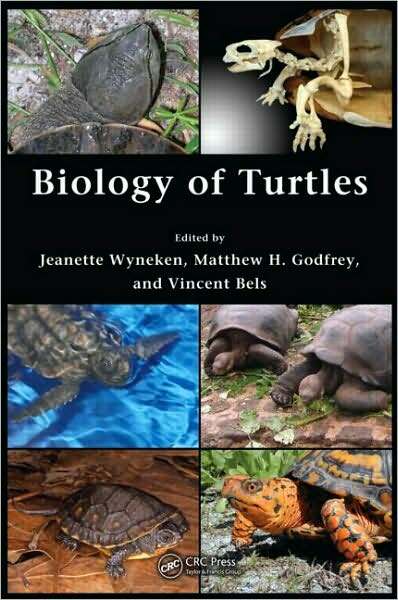 It provides a robust discussion of the development and diversity of the @@@@l. The book also explores the turtle body plan, its physiological and ecological consequences, evolutionary novelties, and their importance. The 200 illustrations found throughout the text enhance the chapters combine with color illustrations of the development of the @@@@l, aspects of bone structural diversity, growth, and skeletochronology, to make this book an unparalleled resource. The volume concludes with a thoughtful discussion of the more than century long debate on the origins of turtles and the reasons why our understanding of the phylogenic origins and evolution ofturtles remains tentative. Currently available books on this subject are woefully out of date and no overall review of Testudinata has been undertakenuntil now. Each chapter represents a milestone in synthesizing a wide range of available information on specific subjects. The books challenge: look both inside and outside the world to build a clearer understanding of the diversity and evolution of turtles. Last edited by Motoko; 3rd August 2012 at 01:07 AM. Reason: ADD INFO, IMAGE, DESCRIPTION. TEMPLATE. Last edited by Motoko; 3rd August 2012 at 01:00 AM. Reason: LOCK INFO AS REQUESTED. Last edited by Motoko; 1st September 2014 at 12:05 AM. Reason: UPDATE.